Sarah stared at him blankly. "So what you're trying to tell me is that vampires are real?" He took a deep breath. "Yes, Sarah. And your sister is being held by one." The Winners of "Close Encounters of the Third Grade Kind"! Thanks again to Anna and the Hachette Book Group for making this giveaway possible. 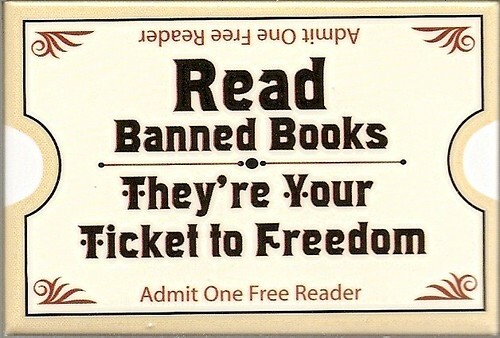 Today kicks off Banned Book Week so let's celebrate our freedom to read. Pick up a book and if you're not sure which book to pick up, here is but a sampling of some classic books that have one thing in common - - they have all been banned at some time. Yes, even the Bible. So if your eyes are rolling as hard as mine are, go to your bookstore or local library and honor the authors of these books (and others listed at the American Library Association's website) by reading the words they worked so diligently to bring us - - and deserve to have read! Many thanks to Sarah Reidy with Pocket Books for providing me with copies of Breaking the Bank to give to 2 lucky readers! Mia Saul is down on her luck. Dumped by her husband, jettisoned from her job and estranged from her adored older brother, she and her young daughter Eden have had had to make a downscale move to a crummy apartment where their neighbors include a tough young drug dealer and a widower who lets his dogs use the hallways as their own personal litter box. Juggling a series of temporary jobs, wrangling with her ex-husband over child support and trying to keep pace with Eden’s increasingly erratic behavior have left Mia weary and worn out. You can't say Breaking the Bank doesn't sound like a to-be-read book! I honestly am anxious for my copy to arrive because, let's be truthful, who hasn't fantasized about an ATM machine giving you free money? That's all! This giveaway is open to U.S. residents only. No P.O. boxes. I will draw the winners on Monday, October 12 and email the lucky readers. Things have been busy, busy around here and I'm thrilled! If you check out my sidebars, you will see all the upcoming events - - hopefully with more to come. Please stay close - - you don't want to miss out! On Monday, September 28, I have a drawing for 5 copies of Phillip Done's Close Encounters of the Third Grade Kind. It's not too late to enter - - simply click here and leave me your email address for one entry. Additional entries can be had by blogging or tweeting about my giveaway, or signing up to become an official follower of my blog. I will have a review of Mr. Done's humorous recounting of his 20+ plus years teaching this weekend - - it's a fun read and I promise you won't be disappointed! You will probably also have more respect for teachers in the process. I sure did. Next Wednesday, September 30, I have an interview with the lovely Donna Lea Simpson, author of Lady Anne and the Howl in the Dark, among many others. (If you haven't already, take a look at my review of Lady Anne here). Take my word that you don't want to miss this - - Donna is a witty, down to earth lady in addition to an accomplished writer. Mark your calendars. On Monday, October 5, I am hosting the blog tour of Breaking the Bank by Yona Zeldis McDonough which will include an author interview, a book review and a giveaway. Read about Yona and the newly published Breaking the Bank here. For those of you that love Barbie, or even have a love-hate relationship, you'll want to get to know Yona, who has collaborated with 20+ other authors to put thoughts about Barbie to paper. Also on Monday, October 5, I am giving away my own personal copy of Jane Odiwe's Lydia Bennet's Story. If you haven't read my review, go here. Jane is a lovely lady with a true Jane Austen affection and it shows in her work. 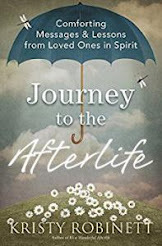 The cover of her book is beautiful - - as well as art work she herself has done. You can view for yourself at her website here. Please click the link here to enter my giveaway. And on Thursday, October 29, I am hosting the blog tour of Thunder and Blood, the first novel for Stacey Voss. 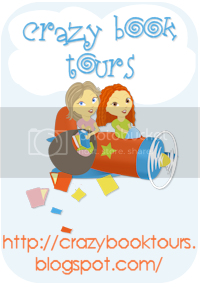 I will include a review of the book (which looks like a lot of fun and includes the paranormal elements I just love!) as well as an interview with Stacey herself (who wrote Thunder and Blood while participating in the November National Novel Writing Month). For more info on Stacey and Thunder and Blood, check out the website here. I also plan on having another giveaway of one of my own personal books soon. I'll leave you in a bit of suspense about which book but I think it will be well received! So please stick around and don't miss out on all the upcoming events! I saw this list over at Debbie's World of Books, although it originated with Pam at Bookalicio.us. I thought it would be fun and interesting. Turns out it's also harder than I thought . . .
9. Journey to the Center of the Earth by Jules Verne. (I've never read anything by Jules Verne but I feel I should so this is my pick). So what would be your 10 books? My teaser for today (a day late) is . 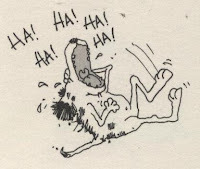 . . . .
Monday arrived and Lizzy was slightly ashamed, but she could not deny her excitement. Never in her entire life had she been able to shop without worry for the cost. Mr. and Mrs. Fitzwilliam Darcy: Two Shall Become One by Sharon Lathan, page 117. Synopsis: Emma Grant, the heroine of Pattillo’s first outing, has a major beef to settle with her literary heroine, Jane Austen. 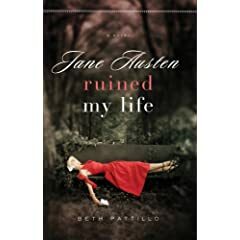 Austen’s novels taught Emma, a college professor, to believe in happy endings, but her own happy ending goes up in flames when she discovers her husband, Edward, in the arms of her teaching assistant, after which the two have her professionally discredited by claiming she plagiarized a paper. Disillusioned and disgraced, Emma flees the U.S. for her cousin’s house in England after being contacted by Gwendolyn Parrot, an elderly woman claiming to be in possession of a stash of lost Austen letters. 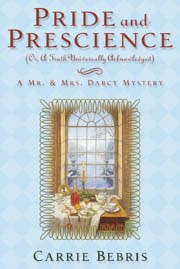 Rather than simply handing over the letters, Mrs. Parrot sends Emma on a succession of tasks that gradually reveal a secret about Austen’s life previously unknown to scholars. Along the way, Emma reconnects with Adam, her former best friend whom she fell out of touch with after marrying Edward. When I picked up this book at The Mother Ship (also known as Barnes & Noble), I had no idea that this was our heroine, Emma Grant's second literary appearance. As a reader, you should have no fear that you need to read Ms. Pattillo's first book featuring Emma before this one. I did not and I still found Jane Austen Ruined My Life to be a delightful, witty romp through England. I loved the setting - - I have always wanted to travel to England and having yet to get there, I savor any books that take place in that lovely foreign land. Ms. Pattillo, who states in her bio that she travels annually to Britain, describes even the most everyday highlights of British living, from the local Starbucks to riding the tube to jaunts to the local bookstore. Even having never been to London or the surrounding areas, I could picture each location almost clearly in my mind from the narrative. I could also relate to Emma. She realizes too late that she was married to a man who was controlling and didn't cherish her. She changed her life to suit him and his and it took something as cruel as catching him the act of adultery for her to make an official break. She is scarred and she is bitter about relationships but she isn't a bitter person. I could also understand her passion about finding potential secret letters written by Jane Austen and her one-minded drive in her hunt. The only thing I didn't like about Emma was her apparent blindness when it comes to Adam, her friend from college days whom she hasn't spoken to or seen since marrying Edward and who she runs into again upon arriving in London. It's painfully obvious, to this reader at least, that Adam has long held a torch for Emma and it was no coincidence that Emma and Adam's friendship was broken when she married Edward. Adam is a wonderful leading man - - thoughtful, generous and literate. Throughout much of the book I rooted for Emma to come to her senses and throw herself into Adam's arms - - in between rooting for Emma to find those Austen letters and reveal some tantalizing aspect of Ms. Austen's life. 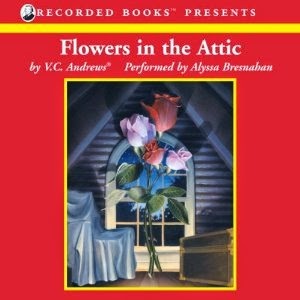 Jane Austen too is a central character of this smart piece of chick lit - - her name isn't just used to sell the book. There are no flashbacks but much of Jane is revealed, fictionally, through papers. In all, I found Jane Austen Ruined My Life to be a fun, intelligent read and a wonderful way to spend some quiet afternoons. The ending was not at all what I expected and some readers may find the ending questionable and objectionable. While it might have been a bit of a letdown, it didn't ruin the spirit of the book for me. If you're a fan of clever chick lit and/or Jane Austen, I recommend you pick up this book. 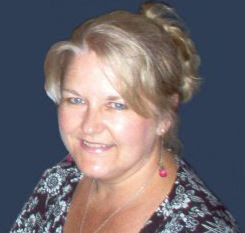 Visit author Beth Pattillo's website here. I saw this fun meme over at Ryan's Wordsmithonia and decided it looked like a fun way to take a break . . . so here goes! Nope, usually not. I want as much of my attention on my book as possible. That's not to say that I won't read while I'm eating breakfast or during my lunch break though. Do you tend to mark your books as you read, or does the idea of writing in books horrify you? How do you keep your place while reading a book? Bookmark? Dog-ears?Laying the book flat open? No writing in books! Books are jewels, marking in them is defiling them! And absolutely no dog-earing!! I feel faint just thinking about it. I use bookmarks and I have a handful of them that I keep in my nightstand top drawer. I will lay a book flat open, using a book weight from The Mother Ship, if it's a hardcover or softcover without a tight spine - - otherwise, no, because I can't stand to hear the spine snap or give! (Book death! Sadness! - - and yes, I am weird about my books). Both. Right now I am reading primarily fiction but I do enjoy nonfiction about old Hollywood, the British Royal Family, autobiographies and true crime. Hard copy. I only listen to audio books on car trips. I prefer to read to the end of chapters because it's neater and a better stopping point, normally, but sometimes "real life" calls and I have to stop where I am. Mr. and Mrs. Fitzwilliam Darcy: Two Shall Become One by Sharon Lathan. 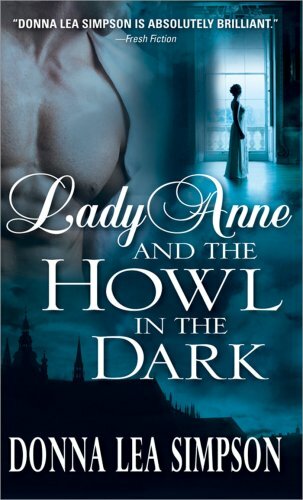 Lady Anne and the Howl in the Dark by Donna Lea Simpson. I used to read 2-3 books at a time on a regular basis . . . then I got married and had a family. Now I read one book at a time. I enjoy reading early, before anyone else is up, and the house is quiet. I also enjoy reading at night before I go to sleep, using the massaging bed rest my husband gave me (see attached pic). Of course, I'll read anywhere, I'm not too picky. Either or. There are some truly phenomenal stand alones that are perfect as they are and don't need continuation. There are also books that I have loved even more, knowing they were part of a series and more were coming. 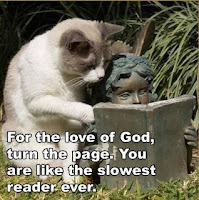 As long as the book is well done and I'm immersed in it, I'm good. Without question, Jane Austen. I adore her work so I don't understand why others wouldn't as well. I also endorse Ann Rule, for the true crime genre and Daphne DuMaurier's "Rebecca" for an iconic gothic romance. Surprisingly, when I broke down and read the "Twilight" saga, I did recommend it to a few people as a great little story that quickly got me wrapped up. The half or so of my books that are relatively organized are done so mainly by grouping all of the author's work together (i.e., all my Ann Rule books are stacked together). So what about you? Anyone else care to answer? 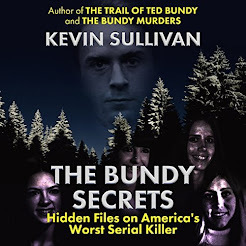 Synopsis: When Ava Nickerson was a child, her mother jokingly betrothed her to a friend's son, and the contract the parents made has stayed safely buried for years. Now that still-single Ava is closing in on thirty, no one even remembers she was once "engaged" to the Markowitz boy. But when their mother is diagnosed with cancer, Ava's prodigal little sister Lauren comes home to Los Angeles where she stumbles across the decades-old document. "The Smart One and the Pretty One" lived up to my expectations as a fun, spunky piece of chick-lit and then surpassed it. 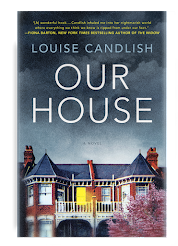 I quickly devoured this book in three days, so involved did I become in both the story and the characters. Both sisters, Ava and Lauren, are relatable - - they are witty, they are competitive, they are flawed. Both could be more annoying than amiable - - Ava, the conservative, buttoned up attorney who has some preconceived notions of relationships and men; Lauren, the flirty, flighty spendthrift who acts before she thinks and doesn't think too often of the future. I think most of us have aspects of both sisters in our personalities and that is what made them more endearing to me than aggravating. They have a strong bond, which they realize and identify during the novel, and act like typical sisters. Typical, too, in a sense, are their romantic relationships during the book. I could tell exactly where the story was headed for both sisters, but it didn't lessen my enjoyment with the book. I liked both their male counterparts and I liked the fact that they were as equally flawed as the sisters themselves. While "The Smart One and the Pretty One" made Lauren's financial woes and her poor handling of money a source of humor and one of the bases for the eventual contract disputes between her and Ava, it handles the sisters' mother's cancer diagnosis with much more seriousness but still keeps the overall tone of the book as bubbly as a glass of champagne. As a bit of an aside, a peripheral character who is also being treated for cancer at the same hospital as Nancy (the sisters' mother) is shown to be quite ill and there is certainly nothing lighthearted about it. In fact, some of the best dialogue (wittiness aside) in the book is between Lauren and the character of Daniel, speaking about dealing with a family member suffering from cancer and trying to make jokes during a depressing, demoralizing time. Overall, I thoroughly enjoyed my time with the Nickerson sisters and lamented the ending of the book. I can only hope that Ms. LaZebnik found the sisters worthy enough for a sequel. "The Smart One and the Pretty One" is available at Barnes & Noble, Amazon and other major booksellers. 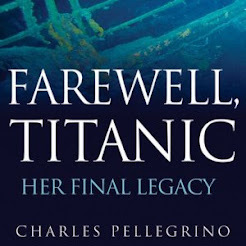 Many thanks to Miriam at Hachette Book Group for the opportunity to read and review this book. And don't forget to enter in my "The Smart One and the Pretty One" giveaway here! "Lady Anne" was my introduction to Donna Lea Simpson and I was not disappointed. I admit that I was attracted to the book initially due to the cover, which has just enough historical mood, darkness and a bare man's chest to spur my desire. Reading the plot sealed the deal for me. How to describe "Lady Anne"? It's gothic, in the same vein as Daphne DuMaurier and Victoria Holt. It's historical in the same vein as Philippa Gregory. It's a romance for the thinking and discriminating reader. It has a taste of the paranormal that reminds me a bit of Jane Austen's "Northanger Abbey". And it has a neat little mystery to wrap up into a pleasing literary gift. One of the things I loved best about this book was the central character of Lady Anne Addison. She is certainly no frail flower of the time (England of 1786), fainting and keeping to women's interests (sewing or having children). She is more like a man of that time period - - curious, inquisitive, willful, bold and determined to remain unmarried. I also felt a connection with the character of Boatin, Darkefell's secretary and his story of how he came to England from Africa. Here was a man who was well-read, if not superiorly educated, who was fiercely loyal to his employer, while still recognizing his faults, and who treated Anne as both a lady and as an equal. In fact, I felt somewhat more of a connection with Boatin than I did with Darkefell - - although Darkefell is quite reminiscent of Darcy from Pride and Prejudice, with his perceived arrogance and hidden sensitive nature. Another wonderful thing about this book are the luscious details of the 18th century - - the attire, the headwear, the castles and estates - - which will cause readers of historical fiction to devour this tale. Boatin's tale, as mentioned above, is an accurate recounting of true events, giving even more depth to Ms. Simpson's story and characters. The only downside to this book, in my own opinion, is the somewhat unresolved ending . . . which makes perfect sense if you realize "Lady Anne" is the first of a new three-part series. The ending leaves this reader, at least, wanting more and anxious to see where Lady Anne's travels take her next and what part the mysterious and moody Darkefell will play in her life in the future. I recommend "Lady Anne" without reservation, if you're a fan of gothic, historical, paranormal romance. 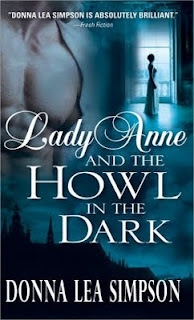 "Lady Anne and the Howl in the Dark" can be purchased at Barnes & Noble, Amazon or through Donna Lea Simpson's website. 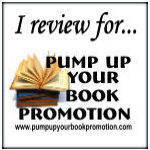 This week I have to give a special shout out to Sharon of Sharon's Garden of Book Reviews. 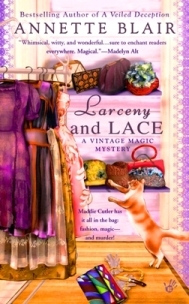 Her lovely site introduced me to author Annette Blair and Ms. Blair's "Vintage Magic Mystery" series, which are my Friday Finds this week. 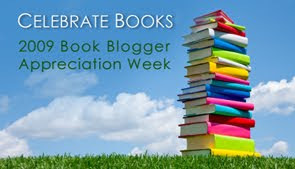 Even though Sharon's "Cozy Mystery Week" has wrapped up, I encourage you to check out her blog, as well as all the wonderful little cozy mysteries she highlighted this week. Synopsis: Maddie Cutler has it all in the bag: fashion, magic--and murder!